It’s five-alarm fun in this space-saving fire engine bouncer! The colorful digital graphics look like the real thing. 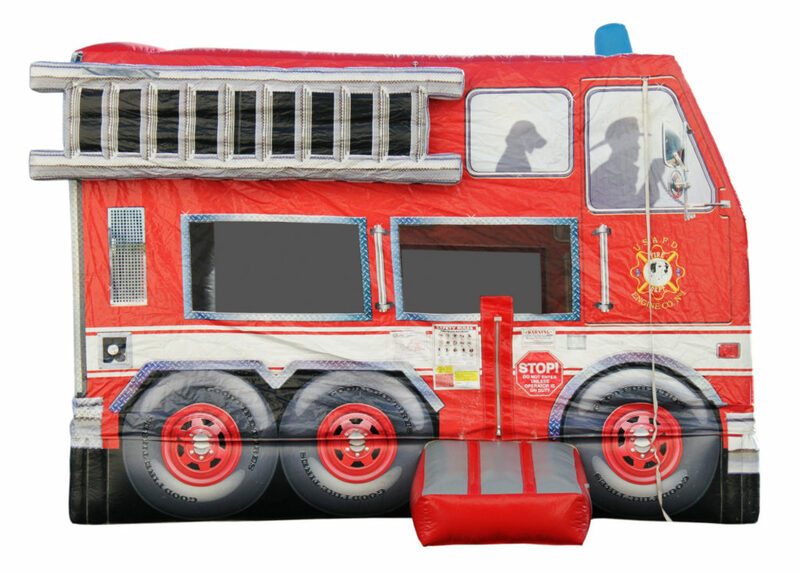 Kids will be burning up with excitement when they see this bright-red play area.